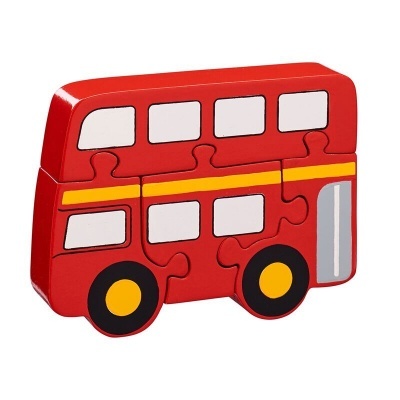 Fair trade Red London bus puzzle. Red London bus jigsaw is a welcome addition to the Lanka Kade educational jigsaw range, suitable for childen aged 10 months plus! A great first puzzle, this jigsaw helps develop hand eye coordination and problem solving skills.